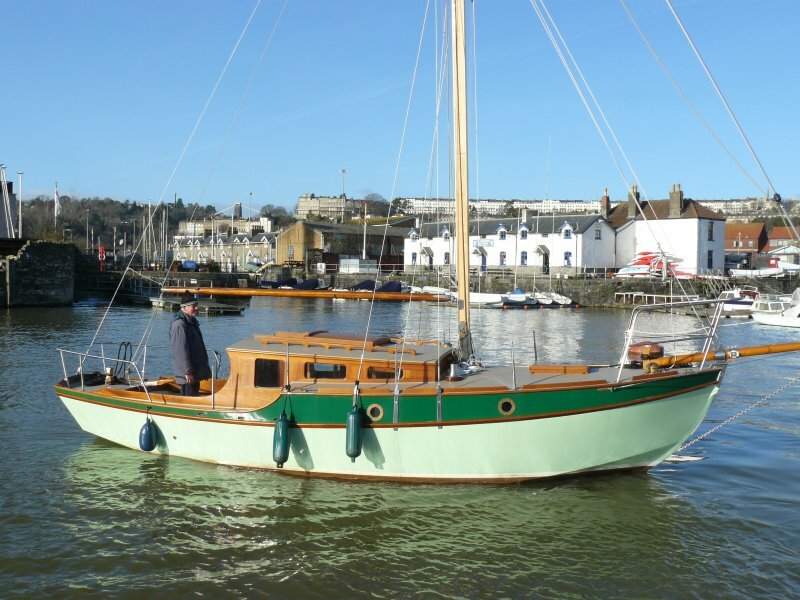 Owner Nigel Vaughan had an old Eventide that was becoming unreparable, and couldn’t find another boat that suited his needs. He wanted to introduce a separate heads that could be accomodated by adding a foot to overall length an taking off a foot of the cabin seats. He also wanted to use design features of the original design as the later updates might give more room but weren't an improvement aesthetically. 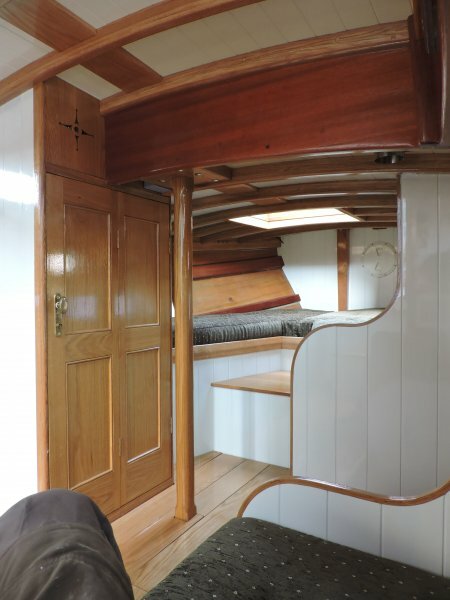 Construction is 18 mm strip plank for the hull, with oak and utile structural elements. 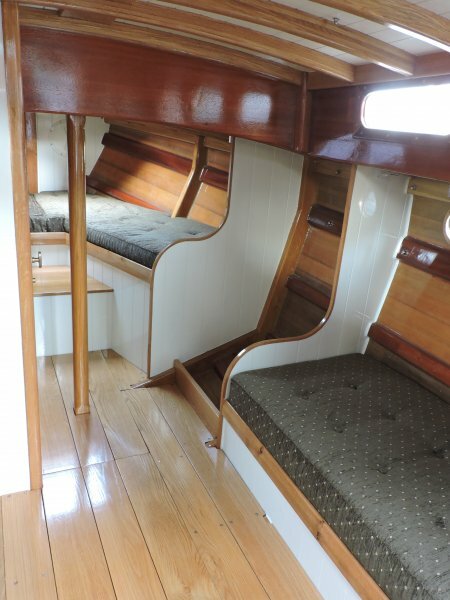 Originally it was the plan to use a lot of the fittings of the old boat, but in the end only the grab rails,boom and bow sprit were re-used. 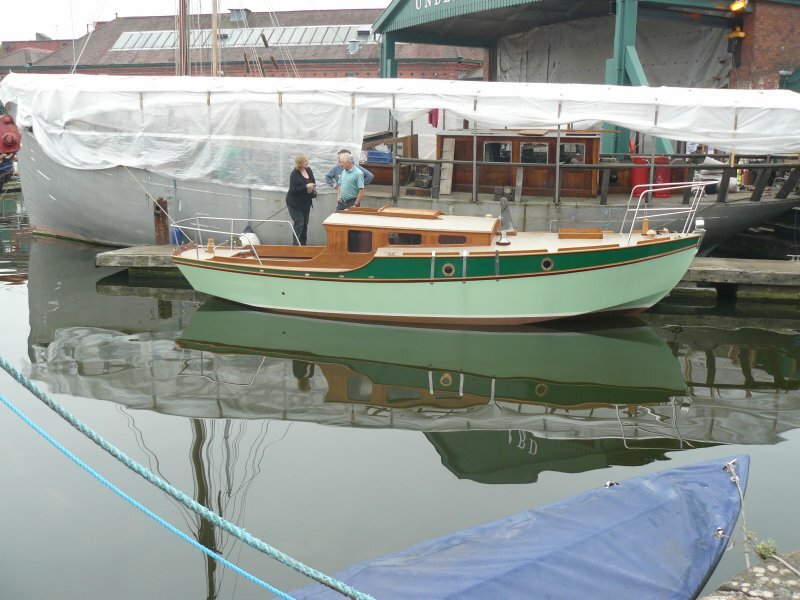 Most of the fittings of the old amateur built boat turned out to be not in tune with the new boat anymore! 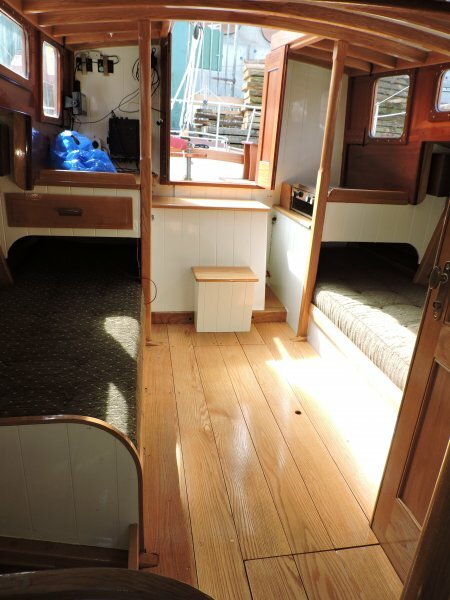 The result of the new lay-out and choice of materials and paint work is a very roomy and warm interior. It must be the first professionally built Eventide for several decades.